Students at The Wheatland Middle School are awesome in more than one way.  Each and every day they attend our wonderful school to learn new and exciting content and advance their education. 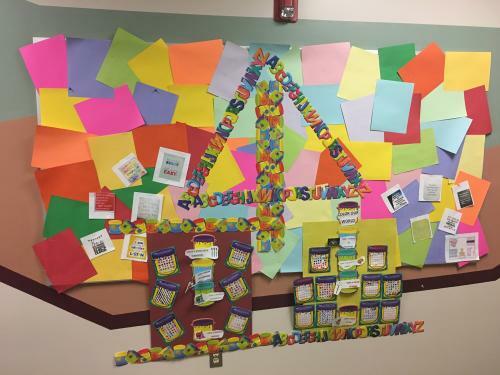 One thing that Mrs. Shauna Bruckner has been doing is Filling their Buckets with Color. 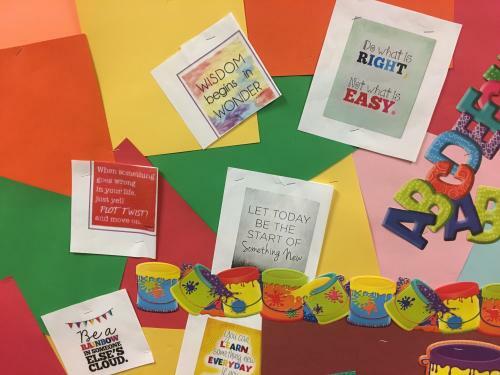 This bulletin board is outside of her classroom and students can access this resource throughout their day. Mrs. Bruckner is the Middle School Interventionist and she truly is focusing on the needs of each and every child in our building. 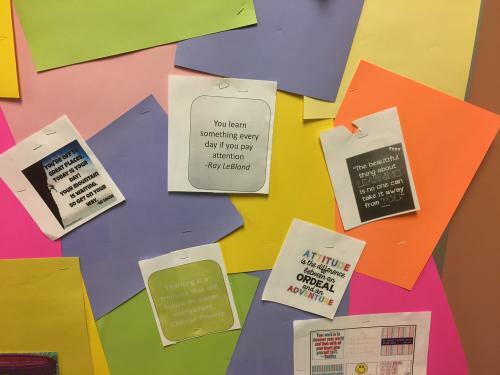 The purpose of this bulletin board is for students to track their personal goals. Students can chose whatever they wish to track and ‘fill their bucket.’ Goals can be, but not limited to, personal performance in the classroom, completing assignments, staying on task, completing chores at home, saying hi to a friend, or whatever they so choose. This is just another way for our students to monitor their personal growth. Once the students have ‘filled their bucket’ they can redeem their bucket for a prize in Mrs. Bruckner’s room. I would encourage anyone who wants to see this in action to swing by the front office and we will take you on a tour to see the great things that our students and staff are accomplishing. Go Mrs. Bruckner and GOOOO Bulldogs!